Advantech is a leader in providing trusted innovative embedded and automation products and solutions. Advantech offers comprehensive system integration, hardware, software, customer-centric design services, and global logistics support; Advantech has always been an innovator in the development and manufacture of high-quality, high-performance computing platforms. Arm defines the pervasive computing that's shaping today’s connected world. Realized in 125+ billion silicon chips, our device architectures orchestrate the performance of the technology that's transforming our lives — from smartphones to supercomputers, from medical instruments to agricultural sensors, and from base stations to servers. We offer high value-added engineering services, embedded systems and IoT as well as technical documentation solutions. 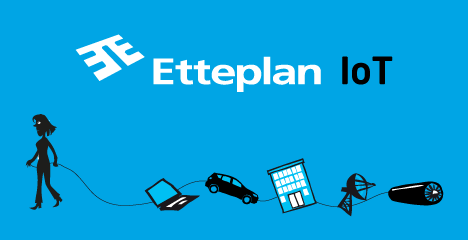 Etteplan’s extensive offering covers all design engineering service needs for machinery, equipment and plants including embedded systems and IoT solutions. We offer custom, cost-effective solutions to help you fulfil your project. With our wealth of technology expertise, we can provide expert technical support and guidance at every stage of your design. The number one COMPANY FACT about Altium is: Our Strategic Business Focus is Printed Circuit Board Design Software . and deliver connected, intelligent products. We create the ECAD tools designers need. DATA MODUL stands behind its claim as a worldwide leading supplier of professional "visual solutions" and is a reliable premier choice partner in the areas of display, touch, embedded and monitor solutions. Microchip Technology Inc. is a leading provider of microcontroller, analog, FPGA, connectivity and power management semiconductors. Its easy-to-use development tools and comprehensive product portfolio enable customers to create optimal designs which reduce risk while lowering total system cost and time to market. The company’s solutions serve more than 130,000 customers across the industrial, automotive, consumer, aerospace and defense, communications and computing markets. Headquartered in Chandler, Arizona, Microchip offers outstanding technical support along with dependable delivery and quality. For more than 80 years, Rohde & Schwarz has stood for quality, precision and innovation in all fields of wireless communications. The group relies on its expertise based on 20 years of experience in IT and network security. Rutronik has developed from a “one-man-company” into one of the worldwide leading broadline distributors, employing more than 1,600. In the electronic components market, Rutronik currently ranks 11th worldwide and is the third largest European distributor. The product range includes semiconductors, passive and electromechanical components as well as embedded boards, storage technologies, displays and wireless products. Our focus is on industrial electronics and producing support services. The main product areas of Mespek are embedded modules, industrial computing, test&measurement modules and server management systems (KVM-switches). Besides our domestic customers we have clients also in several countries such as Benelux, China, Estonia, Ireland, Norway, Russia, Sweden and Switzerland. Tritech offers standard products, design and support services, as well as custom solutions to the embedded and industrial IoT-markets. Partnering with leading technology companies, we deliver intelligent and connected systems that enable our customers’ applications. We turn technology into business.